Hello friends! Guess what – as much as I love Houston, I am back in the Midwest again! 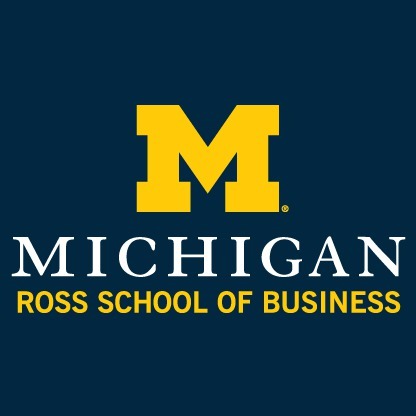 This time I am in Ann Arbor, Michigan for my full-time MBA! So much has happened over the last six months – I bid farewell to friends and delicious food in Houston, went back to China for 1.5 months’ vacation, and started my MBA orientation this past week. Although my parents visited me in the US over the past five years, I have not set foot in China for that long! I was extremely happy to meet up with high school and college friends who I have not seen for years. I traveled with my parents to northwestern China (Xinjiang and Qinghai) and experienced culture a lot different from where I grew up. As part of the Orientation, I participated in the Reflected Best Self Workshop, where I read stories written by friends, coworkers, and managers on when they have seen me at my best. The intention of the workshop is to use the feedback to incorporate my best self into my work and my life. I want to say thank you to all those who invested time in writing the stories for me. I am blown away by the amount of details they remembered, some of which I could not even recall. Reading these stories is so empowering and even moves me to tears. Happy tears, :). Next week I will be competing in Ross Impact Challenge with my MBA classmates and traveling to Eastern Europe for 10 days afterwards. The first semester of my MBA starts after the Labor Day, so I will be back to school and recruiting again! I cannot guarantee frequent update, but I will try to share some great links of resources if I come across any. Lastly, if you are interested in attending Ross and becoming my future classmates, feel free to look for Ross admission events around the world. I have the link set up for you already! Go Blue! This entry was posted in Personal, RossMBA, Travel on August 12, 2017 by Sijie.